Start by checking out this slideshow and the accompanying article. I am a huge fan of tonkotsu ramen. How about you? Absolute heaven for a ramen aficionado: a "deep tonkotsu broth with its hint of bonito flavor . . . slices of pork, their edges caramel-sweet . 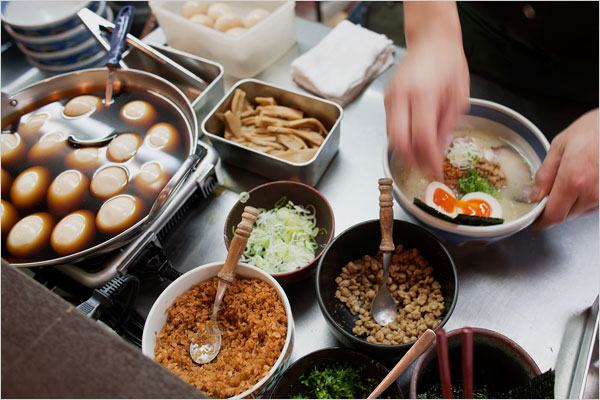 . . the bite of the noodles [and] the egginess of the soft-cooked egg." Green tea ice cream—from scratch!